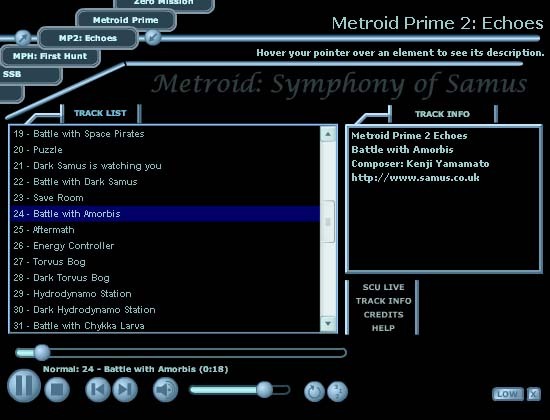 Symphony of Samus is the ultimate collection of Official and un-official Metroid music in .mp3 format. 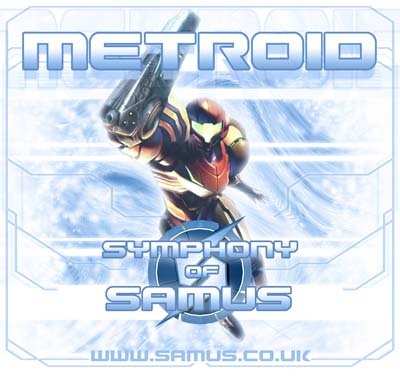 Spanning two CDs, SOS contains all of the FULL soundtracks to EVERY Metroid game currently released (including the tracks from the First Hunt demo) as well as some rarer official tracks. 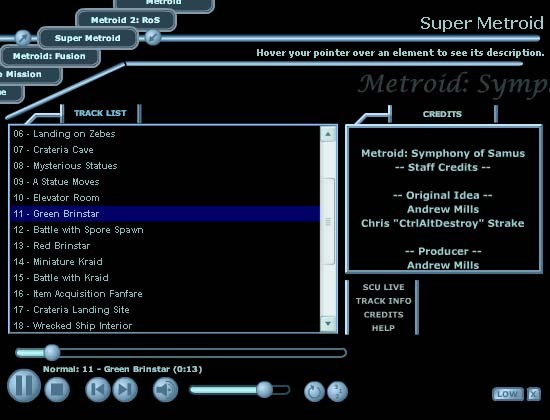 CD2 contains nothing but fan-created remixes of Metroid's various soundbites. Crafted with passion, they are re-imaged in a variety of music genres. 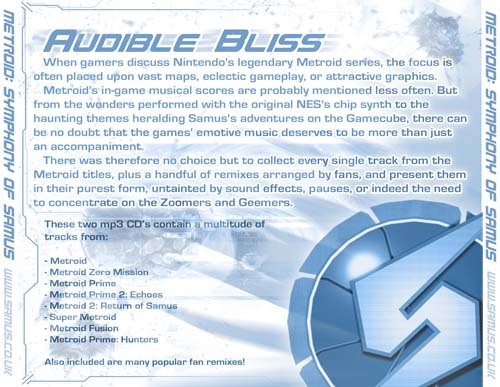 Whether it's sweeping melodies or dramatic kick-beats, the fan remixes continue to show a deep passion for the revolutionary gaming series. 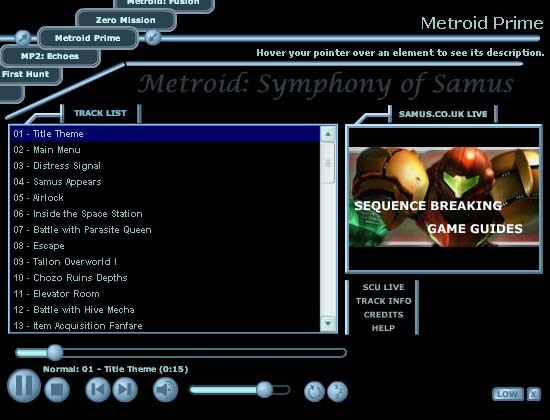 SOS will play in normal portable mp3 compatible CD players (as the tracks are encoded in VBR .mp3 format), but if you put either disc into your PC or MAC, a flash-based user interface opens up allowing you to select the tracks how and as you wish. 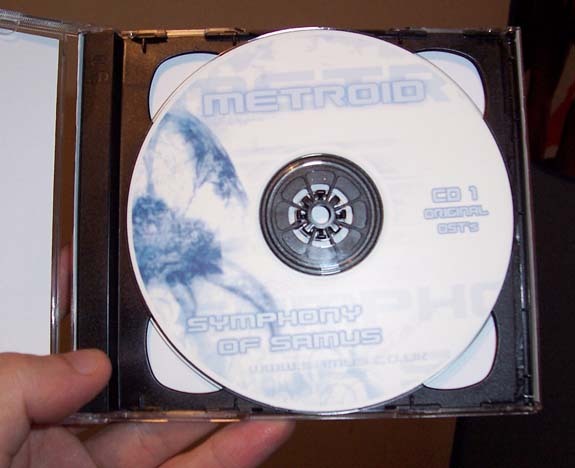 If you would like to take a look at the 2CD set for yourself, feel free to click on any of the links below. The images will open up in a new window. 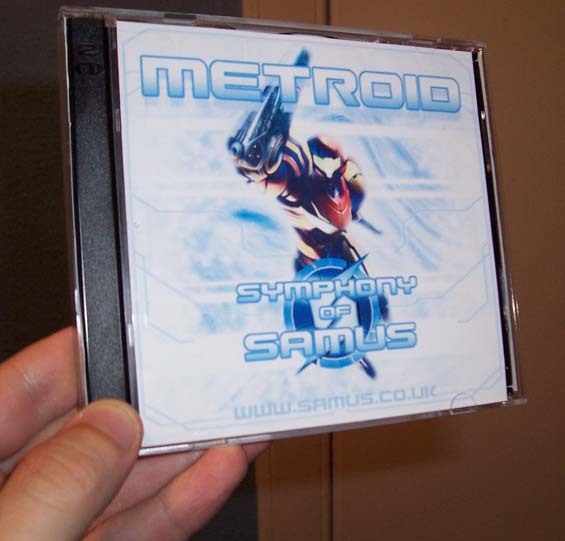 To order Symphony of Samus, click on the link below or the "buy now" to the right of the site.